Howard Schultz. (Bloomberg photo by Michael Nagle). Undaunted by Democratic attacks, former Starbucks chief executive Howard Schultz plans to deliver a major policy address at Purdue University on Thursday to further explain his vision for an independent presidential campaign that would take aim at the country’s two-party political system. The speech comes after a weeklong media blitz that prompted sharp verbal sparring between Schultz and Democratic leaders, who worry that a self-funded bid by a billionaire fiscal moderate and social liberal will ultimately help President Donald Trump win reelection. “Howard burst onto the scene in a way that no one anticipated, and now that a majority of Americans know who is he is, he is laying out some of his ideas and prescriptions for the greatest problems facing our country,” said Bill Burton, a spokesman for the Schultz effort. Schultz has yet to commit to a presidential campaign, and he has dismissed claims that he would be a spoiler. In the meantime, his advisers have also argued that the controversy and media coverage over his potential run will ultimately help him deliver his message to the American people. Schultz pollster Greg Strimple released internal data Sunday that he argued was evidence of real traction for an independent campaign by Schultz. The numbers suggest Schultz is currently far from winning a plurality of the three-way vote in a general election but could still qualify for the general election debates in the fall of 2020, which have a 15 percent national polling threshold. The Schultz argument for the White House is based on the theory that he can capitalize on widespread dissatisfaction with the national state of politics and the current dysfunction in Washington. Purdue’s president is former Indiana governor Mitch Daniels, a Republican whom Schultz has previously cited as a model of the kind of moderate governance he hopes to champion. 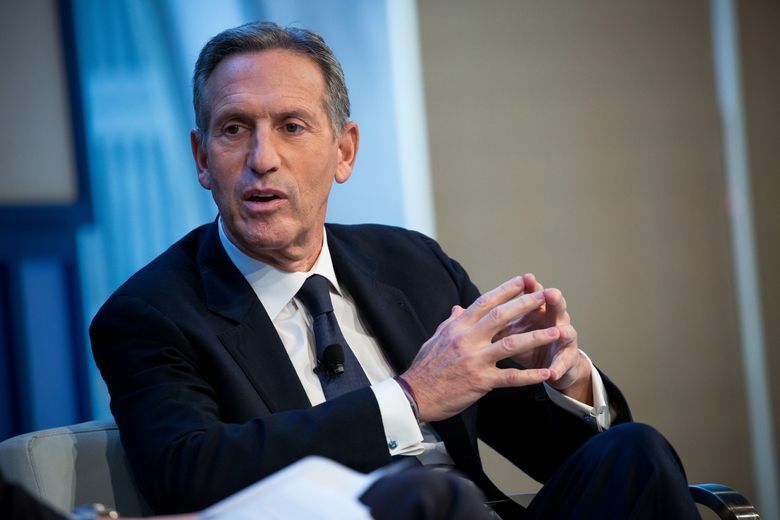 Advisers to Schultz say the former Starbucks CEO, who is worth about $3.4 billion, had previously spoken to Daniels about his ambitions.